Andrew Garner B.A. (Hons), F.C.A. Harrison Black Investment Services comprises a friendly team of Chartered Financial Planners, Certified Financial Planner™ professionals and Chartered Wealth Managers that provides an efficient, proactive and personal service to clients of Harrison Black Limited. Our experience within the financial services sector, and ongoing professional development, means we can offer in-depth product research and technical backup so as to provide you with unbiased financial planning advice that is best suited to your circumstances. Our close affiliation with Harrison Black Limited also means that vital technical support on related taxation matters is always available. We provide independent financial advice, on both an individual and corporate level. Change happens, so we help you to reassess your plans regularly to ensure they remain on track to achieve your financial goals. We offer wealth management services and investment advice, which can help manage investments and savings. Our Financial Planners each hold a current Statement of Professional Standing (SPS), which means you can be sure our qualifications are up to date with financial regulation. This also allows us to access specialist tools and interpret the data, which gives us greater opportunity to manage your money efficiently. We can help with protection assurances too. We are able to offer independent advice on a range of products designed to protect you, your income, your home and family should life take an unexpected turn. Retirement is one of the biggest changes we will experience and can be one of life’s positive milestones. But pension freedoms, along with associated changes to the retirement landscape, have made planning for your financial future even more of a priority. Whatever your retirement goal, we have extensive experience in retirement planning and can help you plan appropriately so as to make the most of the options available to you. Early planning is crucial when making arrangements for the future of your estate. We offer an estate planning service that aims to help you pass on your family assets in the most tax efficient way without compromising the enjoyment of those assets in your own lifetime. Our other services include trustee investment planning, planning for school fees, and mortgage advice. We help you define your priorities for the money you have, so that it can do its best to provide you with the things you need as well as those you want. It’s an ongoing process that aims to help you make sensible decisions about your money that will in turn help you achieve your life goals. We start by discussing your current financial situation and helping you identify your financial goals. Next, we establish your attitude to risk and, with you involved at every stage, we identify the most appropriate route for you to take to realise those aims. Once the plan is agreed we act as your agent in any business process related to its implementation. Regular reviews ensure your plans remain on track for you and, with your approval, we will modify them as necessary. Our initial consultation is free. The on-going service we provide is predominantly fee-based and operates in a similar way to the fee basis that other Harrison Black services attract. The fee is for securing details of your existing investments, pensions and holdings; the completion of a risk questionnaire and the subsequent submission of a financial planning report. The exact cost to you will be agreed prior to commencing any work and confirmed to you in writing. We can also offer our services on a standard per-hour fee; this will vary depending on which member of the team you see. The rates will be set out and agreed with you in writing prior to our commencing any work. We also offer the facility to pay for our services through investment charges: a percentage fee based on the amount you have invested with us. We will charge no more than 3% (substantially lower for larger investments). Please note: you will pay us a fee for our advice and services whether you buy a product or not. We will agree the rate we will charge before beginning work and we will tell you if you have to pay VAT. Some services are only available with commission, which is paid to us by the product provider. We will always make it clear to you where this is applied. We will not normally charge a fee for non-investment insurance products (unless agreed in advance with you) so you pay nothing to us upfront. However, this doesn’t mean our service is free as you will still pay for our services indirectly through the product charges. We will always discuss the charging structure with you in advance of any action and this will be set out in our terms of business. If you would like to find out if we could help you, please call us for a financial health check. 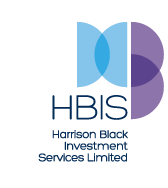 Harrison Black Investment Services Limited is an appointed representative of Rouse Limited, Mill Court Cottage, Furrlongs, Newport, Isle of Wight, PO30 2AA, which is authorised and regulated by the Financial Conduct Authority.